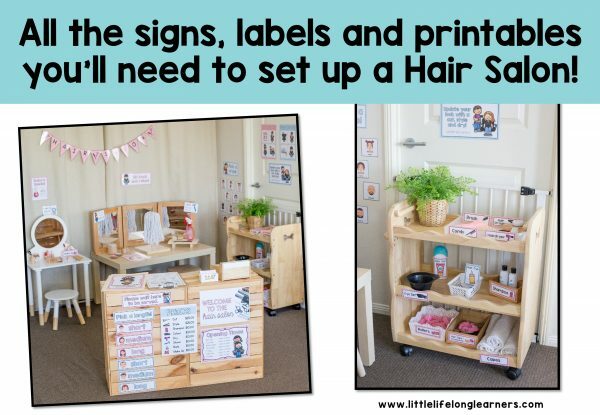 Set up a beautiful Hair Salon or Beauty Salon for your little learners! Set up a fun hair salon dramatic play area for your kindergarten and preschool kids! 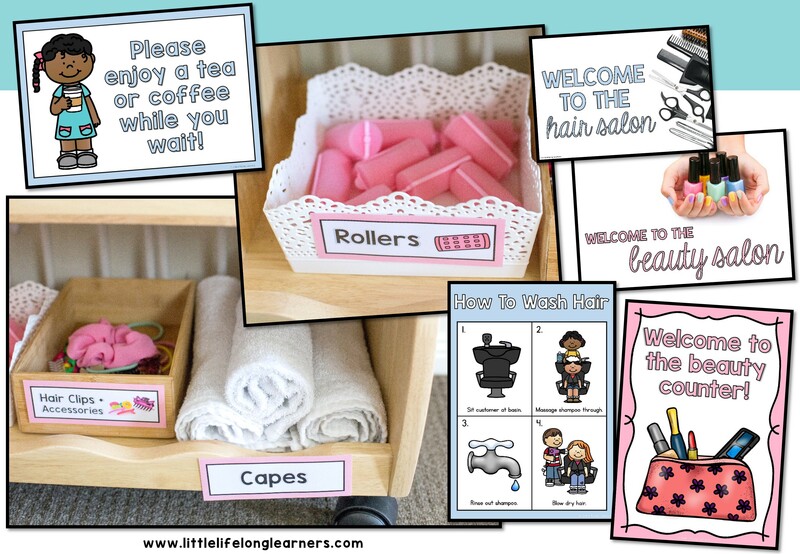 They will love doing each others hair and makeup while developing oral language and social skills. 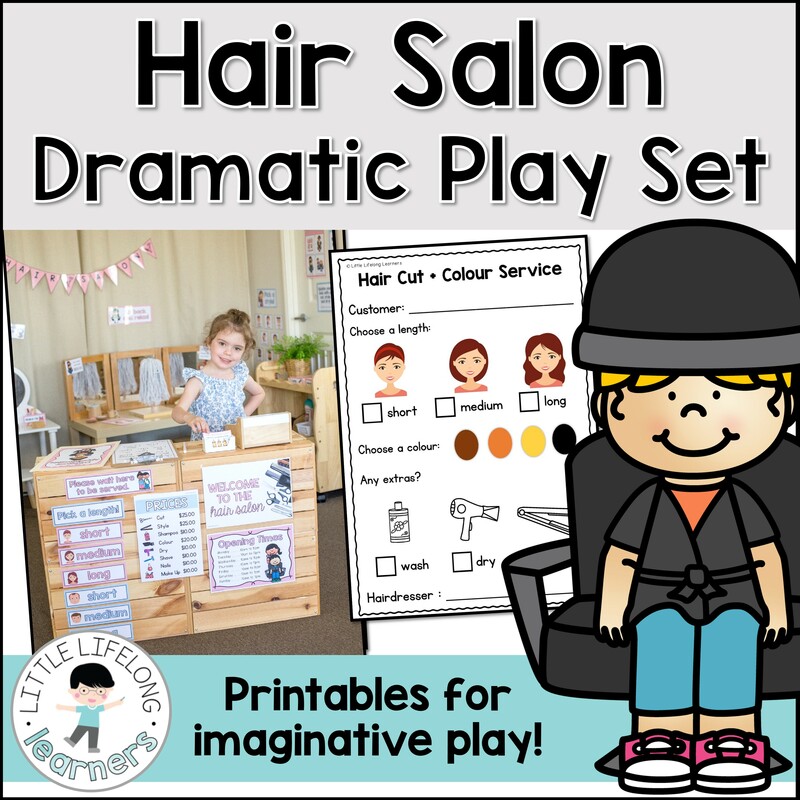 This hairdresser and beauty salon set is the perfect compliment to your community helpers unit! Please be sure to reinforce the fact that this is a pretend hair salon. We did not add real scissors to our hair salon. I explained that it was a PRETEND salon and that only REAL hairdressers can cut hair with REAL scissors. We used our pretend finger scissors, though our little learners were very happy to style and do makeup instead! We cannot and will not be held accountable for little learners that want to use real scissors. Supervision is a must as with all Dramatic Play. 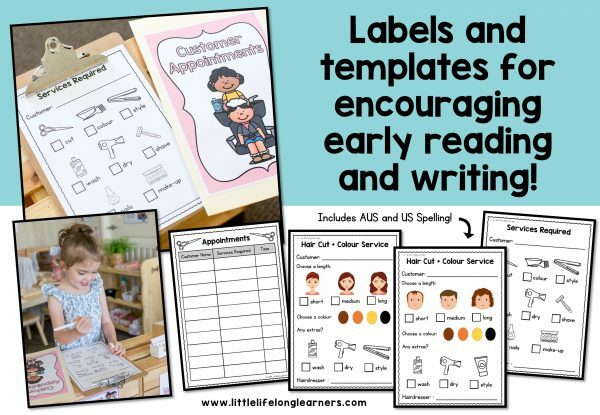 Your little learners will develop early reading and writing skills as they play in the Hair Salon! 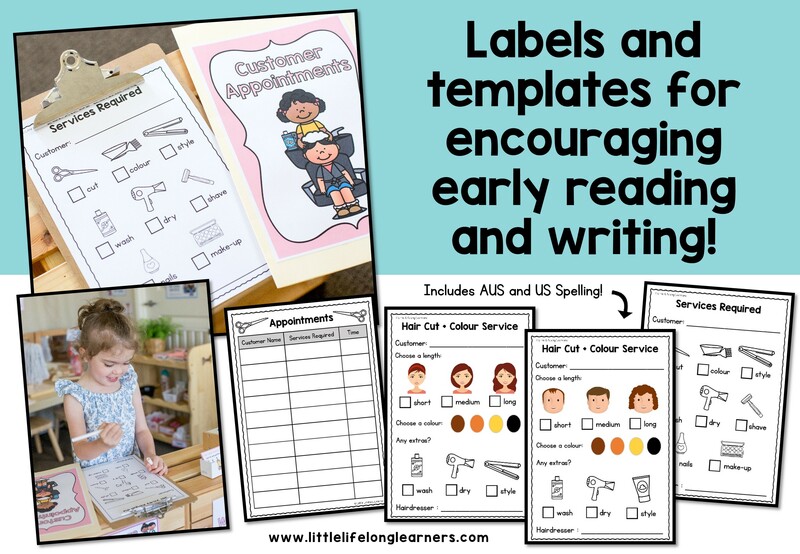 They will begin to recognise familiar words and extend their vocabulary as they become familiar with the labels. This Hair Salon set is also a wonderful way to support a unit on community helpers! They will develop early measurement skills as they role play with money and measure hair lengths. 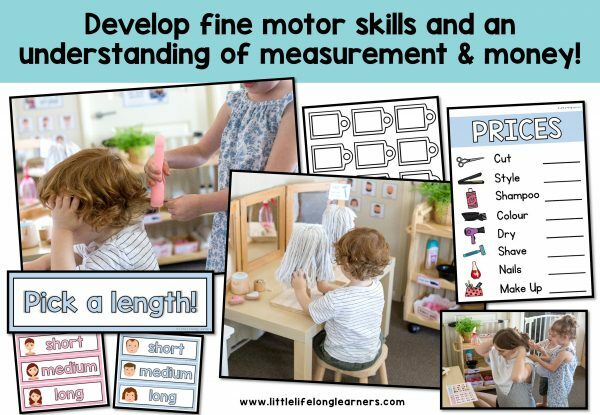 It’s also a wonderful way to develop those fine motor skills required to learn to write as they use their small finger muscles to operate the different equipment and put hair clips and ties in hair. 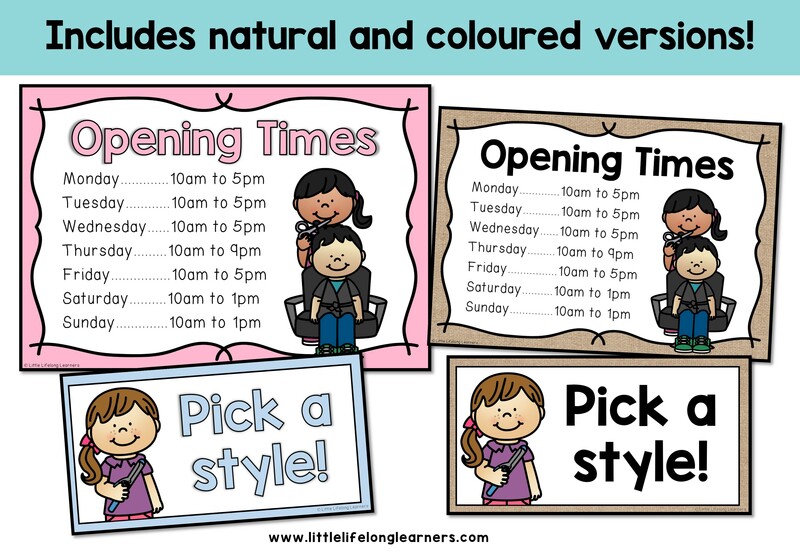 You’ll also get a copy of the Natural Hessian themed Hair Salon printables as well!